Solana Beach, CA (October 4, 2016) – Hookit, a data-driven sponsorship intelligence platform, has been named by the Direct Marketing Association of America (DMA), the leading U.S. data and marketing association, as the winner of its prestigious 2016 Innovation Award in the Measurement and Attribution category for its disruptive Hookit Valuation Methodology (“HVM”). The HVM tracks, measures and values overall engagement generated around sponsorship assets across digital and social media platforms. Unlike social listening tools which track text-based trends on individual platforms, the HVM measures value across multiple social and digital platforms by analyzing overall engagement, including mentions, hashtags, and brand logos using image recognition tools within photos and videos. The sophisticated HVM algorithm provides an earned media value to companies looking to gauge the success of their marketing programs. The DMA 2016 Innovation Award for Measurement and Attribution recognizes superior solutions that allow accurate and timely measurement that also enable marketers to make more informed decisions about the allocation of their investments in real time when necessary. These technologies go beyond last-click attribution to provide greater accountability and measurement of the value of each marketing contact that contributed to a desired outcome, enabling marketers to more clearly understand what’s working and what’s not. Hookit customers are doing just that. Last summer, the Canadian Olympic Committee deployed the HVM during the Rio games via live dashboards that tracked the value for sixteen corporate sponsors, a first for any National Governing Body in Olympic Sports. The verified engagement data provided real time content and insights which enabled the proactive Team Canada marketing staff to make on the fly adjustments to maximize valuable engagement around their athletes and sponsors. Hookit has been on an impressive new customer acquisition path since launching the valuation methodology in December 2015. Over the last four months, Hookit’s best-in-class customer base has grown from long time partners GoPro, Monster Energy, and Suzuki, to include top-notch clients including; the Cleveland Cavaliers, the Los Angeles Lakers, the Canadian Olympic Committee, The US Ski and Snowboard Team, Major League Soccer on behalf of the Copa America Soccer Tournament, NHRA, the LPGA as well as top notch brands like Motul Oil, Dunlop Tire, Vans Footwear and the KAABOO music festival. 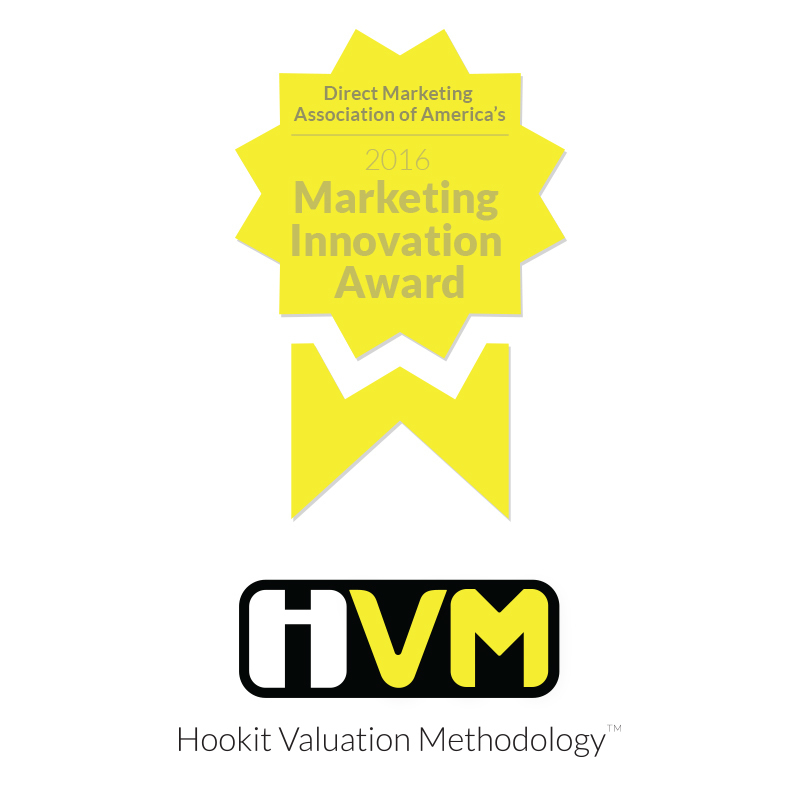 The DMA Marketing Innovation Award will be presented to Hookit on October 16 at &THEN, DMA’s annual event which brings together thousands of global marketers. For more information connect at hookit.com/business, Twitter, Facebook, and Instagram. Based in San Diego, CA, Hookit offers the most comprehensive and exacting data analytics platform for establishing and tracking the value of individuals/athletes, teams and events across the sports and entertainment industries. Through its proprietary platform and Hookit Valuation Methodology (HVM), Hookit brings athletes, teams, brands, agencies, events, leagues and federations together in mutually beneficial partnerships. Hookit’s blue- chip client roster includes GoPro, Monster Energy, the Canadian Olympic Team, Cleveland Cavaliers, IMG, KC Royals, IMG, Incipio, Puma, LPGA, and NBC Sports. For more information, visit www.hookit.com/business. Founded in 1917, DMA is the community that champions deeper consumer engagement and business value through the innovative and responsible use of data-driven marketing. DMA’s membership is made up of today’s leading tech and data innovators, brand marketers, agencies, service providers and media companies. By representing the entire marketing ecosystem – from demand side to supply side – DMA is uniquely positioned to bring win/win solutions to the market and ensure that innovative and disruptive marketing technology and techniques can be quickly applied for ROI. DMA advances the data-driven marketing industry and serves its members through four principal pillars of leadership: advocating for marketers’ ability to responsibly gather and refine detailed data; innovating to bring solutions forward for marketers’ most vexing challenges; educating today’s marketers to grow and lead marketing organizations in the ever-increasing omnichannel world; and connecting industry participants to stay current, learn best practices and gain access to emerging solutions through &THEN– the largest global event for data-driven marketing – and DMA’s portfolio of other live events. For more information, visit andthen.thedma.org.